Allow me a few brief qualifiers in an attempt to convey the importance of this message to you, as a representative of Montanans. My name is William (Alex) Hughes, and I am a multi-generational Montanan, currently residing in Missoula, with most of my family in the Bitterroot Valley, originally from north-central Montana. 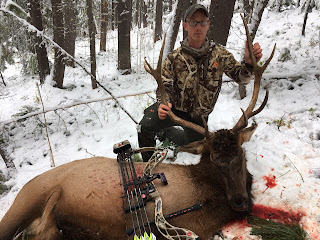 I work in medical sales throughout western Montana, I am a military veteran, I am an avid hunter and outdoorsman, and I am a generally conservative person and voter. Additionally, I serve on the board of a local rod and gun club that keeps me informed and involved with not just local outdoor issues, but also with how the everyday folks of western Montana perceive and feel about these issues. I can certainly tell you that we expect our elected officials to meet with their constituents to hear questions, comments, concerns, etc. I will now address your recent proposal legislation that would release 450,000 acres of wilderness study areas. I’m sure you are being inundated by various groups and organizations on the pros and cons of wilderness, different types of access, wildlife biology, etc. The evidence of the importance of wilderness study areas to wildlife is obviously important, but that is not the point of this letter. The one aspect I would like to highlight concerning the details is as follows: access must be defined when it comes to land management, and I fear that you have intentionally equivocated when it comes to using that word. Of course the wilderness study areas have access, and you know that. But, you highjack an appealing word while omitting the detail that your bills would allow motorized access, with the hopes that most voters without the time or care to learn the details will think that you are unlocking land that was previously inaccessible at all. We live in Montana! There is more than enough land in nearly every corner of this giant state for every type of access, including extraction; there is also more than enough room to limit types of access in some of these areas. Transparency and resolute honesty are traits held by the few politicians and leaders of this country that have stood the test of time and whose names are remembered honorably. You should strive to demonstrate these traits in your office. Finally, to return to my main point. I pointed out that I generally hold conservative values. It absolutely pains me that public land management has become a partisan issue, and that I have to emphasize my own views in order to gain the ear of my republican elected officials. Mr. Daines, you are antagonizing and alienating a large contingency of voters that should be a substantial part of your base. Many of my friends and peers are hunters, veterans, businessmen, and healthcare providers who also share conservative values, and are infuriated by this legislation. You are not representing Montanans with your current legislative actions, and I urge you to deeply consider why you chose to run for office, and what your position truly represents from a historical, philosophical, and pragmatic perspective. Please do not sell out your people for industry, or for a vocal minority of special interest groups who do not have our best interests in mind.